What are we doing? Why are we going to Glacier? There are a lot of signs that this might not be a good time to go there. Should we stay or should we go? 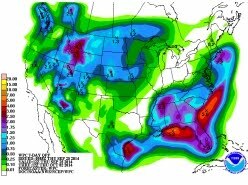 The graphic above is from the Saturday morning GNP Twitter feed. YIKES! 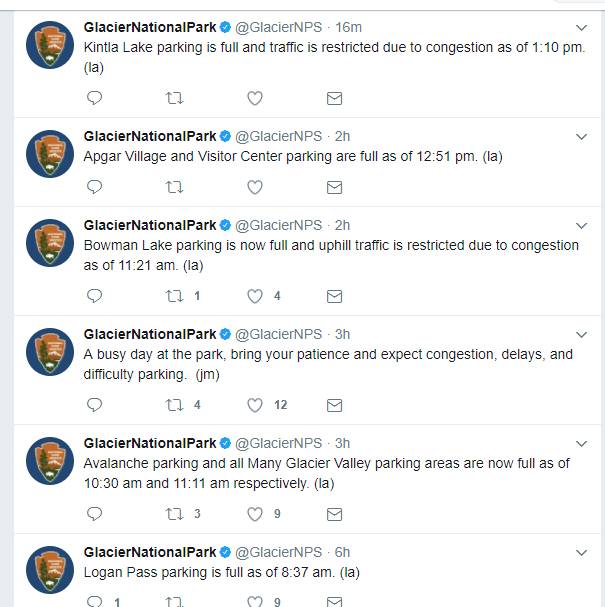 Logan Pass full at 8:37. Meanwhile, record breaking heat is forecast. Meanwhile, they've staged a DC-10 tanker in Helena because of the escalating fire danger in Montana. Meanwhile, there are already quite a few fires burning in Montana and upwind in British Columbia. One wonders...what are we doing? Why are we doing it? Too many questions, too few answers.